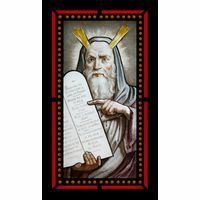 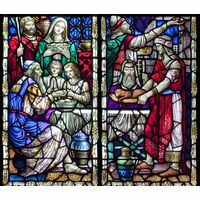 Joseph's faith helped him to go from a slave to one of the most powerful men in Egypt. 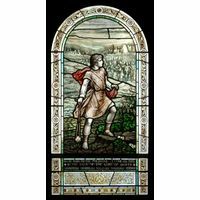 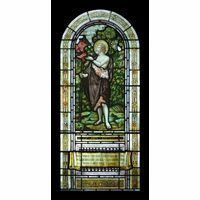 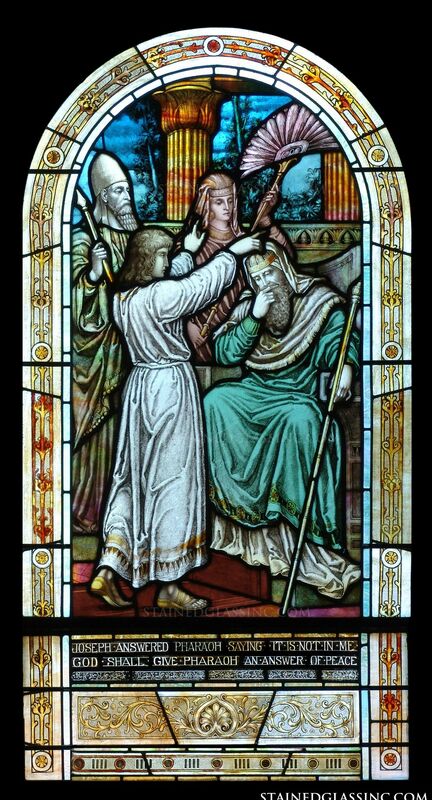 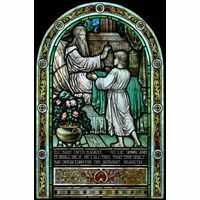 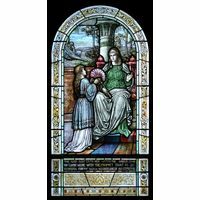 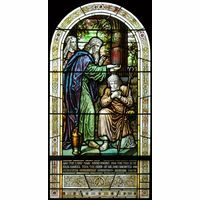 Rendered here in glorious stained glass, this favorite Bible story is portrayed with flawless imagery and detail, bringing to life an important event in Christian history. 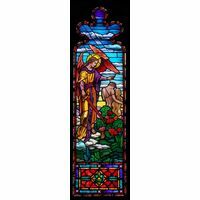 Rich, vibrant color, ornate detail and classic design bring to mind the stained glass windows of the great cathedrals of Europe, inspiring faith and stirring the soul. 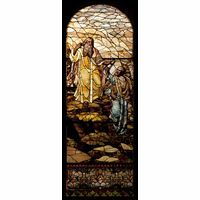 Perfect hues that cross the full spectrum of color and intricate textures dazzle the eye and capture the imagination of all who experience the beauty of this glorious work of stained glass art. 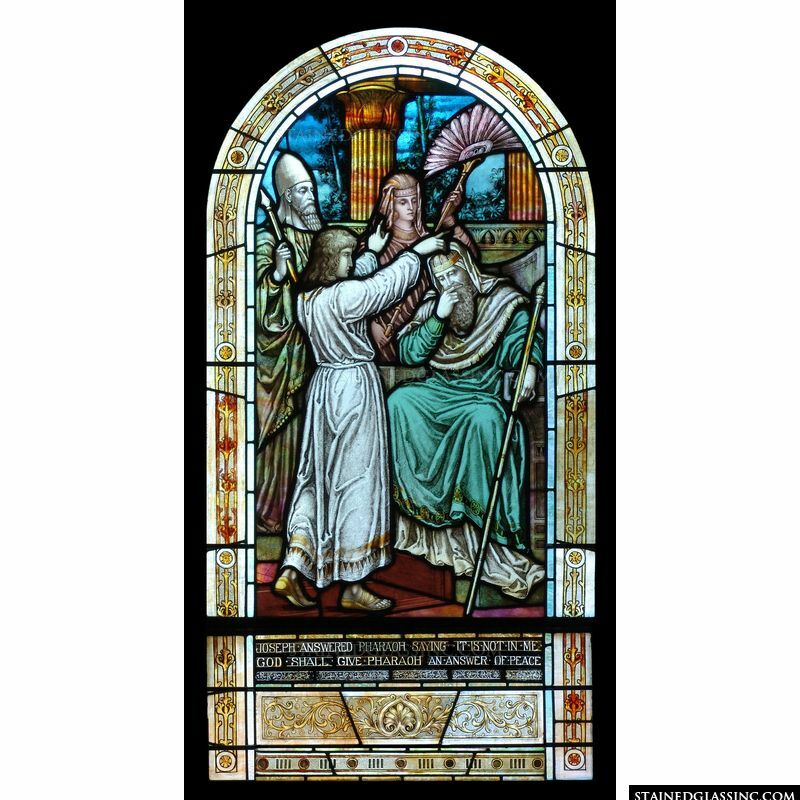 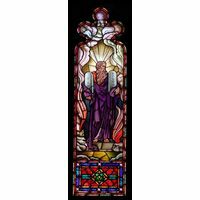 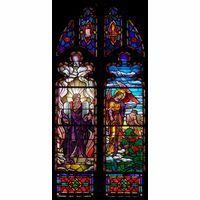 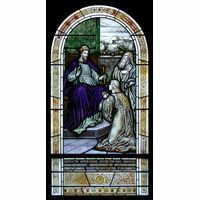 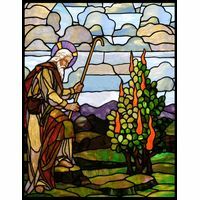 Enhancing every area of quiet devotion, church, chapel or cathedral, this stained glass panel reflects and refracts the shifting shades of color as they change throughout the day.